We are prominent supplier of Yonex Badminton Shoes. We are dealing in Yonex Badminton Shoes. We are engaged in supplying Yonex Badminton Shoes. 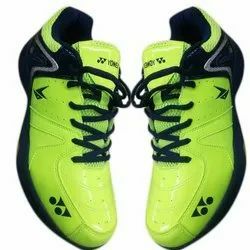 Matching up with the requirements of our clients, we are involved in offering Yonex Badminton Shoes. We are main supplier of Yonex Srcr Comfort Junior Badminton Shoes. Instant comfort for intermediate players. With Power Cushion. We are offering Yonex Badminton Shoes. We are top notch supplier of Yonex Badminton Shoes. We are unique supplier of Yonex Badminton Shoes. We are engaged in offering Yonex Badminton Shoes.